NETHERLANDS – Swirl’s Ice Cream has launched black ice cream to the food market in the Netherlands, with a variety of ingredients that naturally dye foods black or are naturally black. 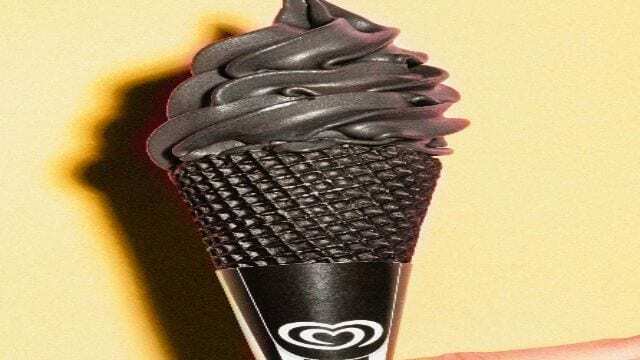 According to FoodingredientsFirst, the new black ice cream will also contribute to new flavor profile or claim to add health benefits as activated charcoal used claims to have absorbent/detoxifying properties, adding a light gritty texture to food. Black ice cream has featured prominently on social media all over the world, but until now it has not been available in the Netherlands. Tjerk van der Linden of Swirl’s Ice Cream believes that black ice cream will be popular with consumers looking for new eating experiences. “Black food is visually attractive and a lot of people are looking for new ways to stand out and share pictures of exciting food concepts, on social media,” he said. For example, black rice is more nutritious than white rice and brown rice with antioxidants and vitamin E. Black sesame allegedly helps control cholesterol and is a source of magnesium and calcium. “With this new black ice cream, it appeals to all consumers, and we are seeing that consumers are interested in new taste experiences. We know that millennials are more adventurous when it comes to trying out food and new food experiences, so we expect a lot of attention from younger millennials,” he noted. “The black food trend has been very visible internationally for quite some time now. We’ve seen black hamburgers, black macarons and even black pasta. We are very proud to be the very first to introduce black ice cream to the Netherlands. We’ve seen amazing examples from the US and Asia and expect that Dutch people will run to our Swirl’s shops to get a taste,” says van der Linden. The black color of this ice cream is created by adding a plant-based black carbon powder, made from coconut shells. This powder is used in various food innovations and is a 100% safe, and since the powder is tasteless, it ensures the ice cream keeps it delicious and familiar vanilla taste. “Charcoal is plant-based and comes from the husk of a coconut,” van der Linden noted. “The formulation is the regular soft ice cream mix for white vanilla ice cream and then we add active charcoal, which completely safe for use in food. It is being used in many types of food products lately. Van der Linden also noted that there had been a lot of attention for this concept within the Unilever company, and also from others in the market.